The recipe will give 2 rostis. 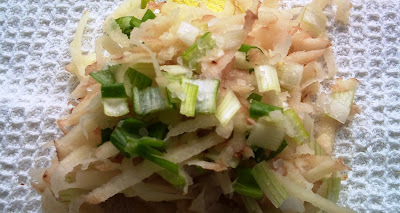 Place the chopped onion and grated potato into the centre of a clean dry cloth or tea-towel and combine. Sprinkle with a little sea salt and allow to sit for a minute or so, to draw the moisture out. Heat a small frying or omelet pan to a medium to high heat. Bring the four corners of the cloth together and twist the bundle to wring out the moisture. Twist as hard as you can while holding the cloth over a sink. Add half a teaspoon of butter to the pan and when it's bubbling, sprinkle half the potato mixture on and press it down to make a round with a spatula or egg lifter to flatten it out. 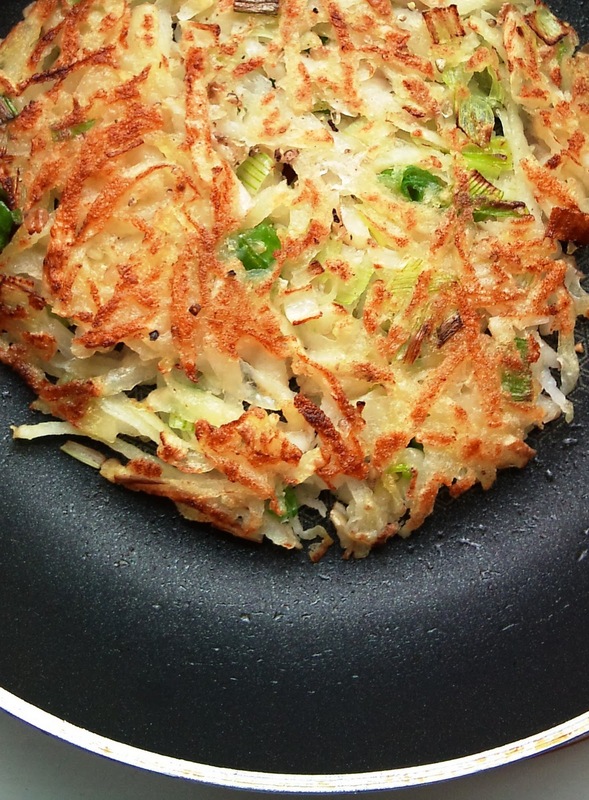 Don't touch the rosti and allow to fry until golden brown for approximately 5 minutes. Carefully turn it over and cook on the reverse for a further 3 minutes or so. Transfer to warmed plates and season with salt and pepper. 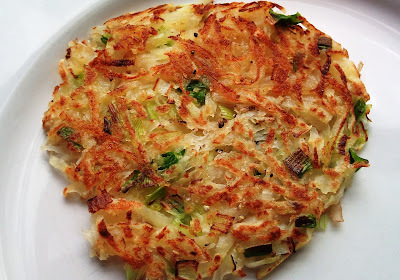 Repeat with the other half of the potato mixture to make the second rosti. 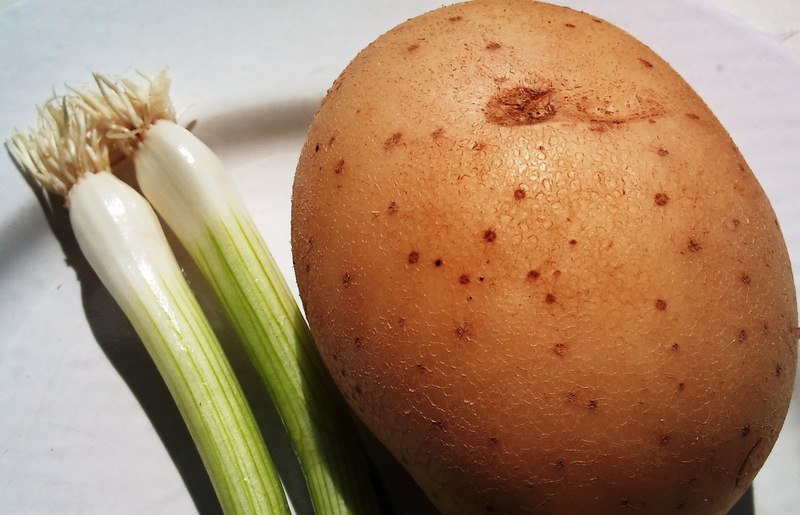 Do you need to cook the potato first or just put it into the pan raw? I tried this but it came out grey in color and mushy. I removed all the moisture from the potato that I could. Sorry to hear that you had trouble with the recipe. Next time, I recommend you heat your pan to a higher temperature. You could also half the ingredients and fry in two batches. Thank you for sharing your delicious recipe.